Anum Laghari from Hyderabad Sindh, is running a non-profit organization named iHELP. She grew up dreaming to be a social worker to help as many as possible,to lifting up others and transforming their lives, so to turn her dreams into reality, she launched her own forum where youngsters meet and greet for a cause and for helping out in their surroundings and work for the betterment of the society without any greed, that's how iHelp was created. Now she's an individual who is running Hyderabad's very well known organisation named Ihelp along with 30 other youth individuals from her town. iHELP is a social welfare Organization which was founded in 2013 to help needy people of the society who cannot afford clothes,food,education,health and shelter. iHelp has conducted various welfare programs in the last 2 years for the betterment of poor and needy class of the society. When it comes to organizing awareness workshops and fun and learning conferences in her town, she always comes up with creative ideas which can help the youth to learn something new. 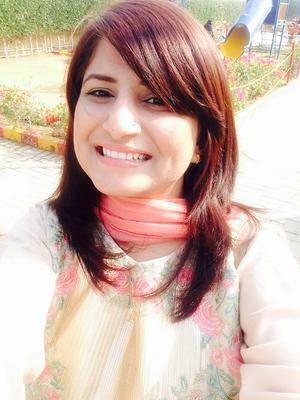 Anum has organized iExploresindh series in her town. iExploresindh is a residential conference, it always comes up with adventurous themes where youth from all over Pakistan can explore the distinguishing features of the Sindh Province and get a chance to interact with each other which will surely enhance their confidence and teach them on how to survive in tough situations of their lives.